The EU has now increased the pressure by resorting to blackmail: Brussels is making its recognition of Switzerland's SIX Swiss Exchange, the fourth-largest stock market in Europe, contingent on Swiss acceptance of the framework agreement. The measure was opposed by a coalition of Swiss business groups, which convincingly argued that it was a question of economics and access to international markets for the export-dependent country. "Ultimately, it is about maintaining prosperity in Switzerland and keeping the companies and jobs here," said Monika Rühl, director of the business group Economiesuisse. "The SVP rejects a one-sided submission to EU institutions, aimed at establishing an institutional connection of Switzerland to the EU apparatus, with a dynamic EU legal takeover and, ultimately, the subordination of Switzerland to the EU Court of Justice. A dynamic adoption of EU law would be another massive erosion of our direct democracy." — Swiss People's Party. Two-thirds (66.2%) of voters in the November 25 referendum opposed the "self-determination" initiative, put forward by the eurosceptic Swiss People's Party (Schweizerische Volkspartei, SVP), the largest party in the Swiss parliament. The Swiss government countered that the proposal would undermine Switzerland's economic stability as it would require Bern to amend existing bilateral agreements with the EU, the country's largest trade partner, to bring them into compliance with the Swiss Constitution. The proposal's defeat comes ahead of pending decisions by the Swiss government over whether to sign a wide-ranging EU "framework agreement," and a controversial UN "migration pact." The EU is now pressing Switzerland to sign a comprehensive "framework agreement" that would require Bern to cede even more sovereignty to Brussels. The EU, for instance, wants Switzerland to subject itself to the jurisdiction of the European Court of Justice (ECJ). If Switzerland complies with the demand, the ECJ would outrank the Swiss Supreme Court as the final arbiter of legal disputes in the country. The EU has now increased the pressure by resorting to blackmail: Brussels is making its continued recognition of Switzerland's SIX Swiss Exchange, the fourth-largest stock market in Europe, contingent on Swiss acceptance of the framework agreement. Switzerland's current stock exchange agreement with the EU expires at the end of December; failure to renew it would deprive the Swiss exchange of EU-based business that generates more than half its volume. Swiss leaders have said they doubt that any proposed treaty could win the backing of parliament or voters in a referendum under the Swiss system of direct democracy. "The Swiss government now faces the prospect of choosing between two evils: agree to the EU framework deal only to have it torpedoed by voters in a referendum, or renege on the treaty and risk reprisals from Brussels that hurt the economy." A key point of contention in Swiss-EU relations revolves around a long-running dispute over the EU's "Agreement on the Free Movement of Persons." The agreement, which Switzerland signed in June 1999, allows EU citizens to live and work in Switzerland, and vice versa. The original agreement applied to 15 EU member states, but with the enlargement of the European Union in 2004, 2007 and 2013, the agreement now applies to 28 EU member states, including the poorer countries in Eastern Europe. In an effort to curb the increasing amount of crime associated with immigration, Swiss voters in November 2010 approved a referendum to deport foreigners who commit serious crimes in Switzerland. The EU warned that deporting EU citizens for any reason would be a violation of Switzerland's treaty obligations regarding the free movement of persons. The Swiss parliament, seeking to avoid economic reprisals, eventually passed a watered-down law aimed at reconciling the will of Swiss voters with Switzerland's obligations under EU law. "According to the parliament's implementation of the law for the deportation initiative, courts would have the possibility to put aside a deportation — even in the case of the most serious offenses — via the hardship clause. Current legal practices show that judges would frequently make use of this option. As a consequence, hardly any foreign criminals would be deported." In February 2014, Swiss voters approved a referendum to reintroduce quotas for immigration from EU countries. Proponents of the quotas argued that foreign workers were driving down wages and increasing demand for housing, health, education and transport. The EU warned that any restrictions on access to the Swiss labor market would violate the agreement on the freedom of movement of persons, and threatened "serious consequences." The Swiss parliament again yielded to EU pressure, this time by passing watered-down restrictions on immigration. 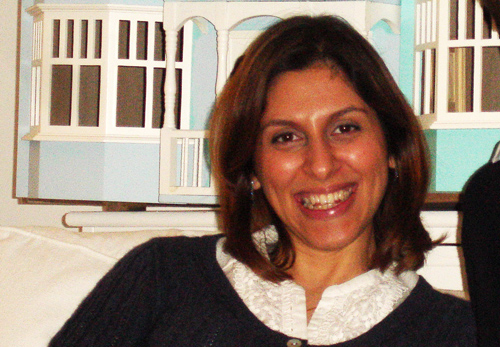 Another flashpoint in bilateral relations involves the European Court of Human Rights (ECHR). In November 2014, the ECHR prohibited Switzerland from sending Afghan asylum seekers back to Italy. Although Italian authorities had agreed to take them back, the ECHR ruled that doing so would violate Article 3 of the European Convention on Human Rights (Prohibition of Inhuman and Degrading Treatments) because of overcrowding and poor conditions at Italian asylum facilities. "Don't we trust federal judges to decide on human rights issues? We had those principles written into our constitution well before the ECHR. The problem with the convention is that it decides things from far away. The consequences, what happens next, don't concern the judges." "It is unacceptable that a small panel of [ECHR] judges, who generally lack the expert knowledge about the [Swiss] legislative authority, handle matters in an undemocratic way instead of the [Swiss] authority itself." In February 2018, Swiss public television SRF reported that the European Commission had presented the Swiss government with a 19-page "sin list" of Swiss violations of EU law. Switzerland's ongoing disputes with the EU, and the concomitant erosion of Swiss sovereignty, prompted the SVP to sponsor the referendum to ensure the precedence of Swiss law. The sponsor of the initiative, SVP MP Hans-Ueli Vogt, expressed surprise at the scale of the defeat — a rare setback for the SVP, one of the most successful anti-EU parties in Europe — but said he would continue to fight against "creeping EU accession." The measure was opposed by a coalition of Swiss business groups, which convincingly argued that the referendum was a question of economics and access to international markets for the export-dependent country. "Ultimately, it is about maintaining prosperity in Switzerland and keeping the companies and jobs here," said Monika Rühl, director of the business group Economiesuisse. "The SVP suffered a defeat because it failed to mobilize and convince beyond its base. The voters wanted a pragmatic assessment between international law and national law. Depending on the situation, one or the other should apply. The definitive prevalence of one over the other, on the other hand, is not shared by the majority." La Tribune de Genève wrote: "What the Swiss have supported this Sunday is a pragmatic, negotiated, piecemeal approach to our national interests. Voting is in no way a declaration of love to a European Union in crisis." "First of all, the SVP demands that Switzerland not join the UN migration pact. We are counting on the pledges of the representatives of the other parties, that at the very least it is presented to the parliament with the aim of holding a referendum on the matter, so that Swiss voters can have their say about such a far-reaching pact. "Secondly, the SVP rejects a one-sided submission to EU institutions, aimed at establishing an institutional connection of Switzerland to the EU apparatus, with a dynamic EU legal takeover and, ultimately, the subordination of Switzerland to the EU Court of Justice. A dynamic adoption of EU law would be another massive erosion of our direct democracy." Stand your ground. If you do not, your country will cease to be yours. You will become no more than an outlying province of the European Superstate that is currently under construction by the EU Commission. It may be too late for us in the UK already, as our civil service has been has become indoctrinated by EU rules and regs. If the EU doesn't refrain from their heavy handedness in their relations with the other EU countries, they will destroy the EU and they will be forced to follow Britain's and leave the EU. To the Swiss. Stand your ground! Subjugation to the EU will do just what you think it will, poverty. AND the EU will next demand mass immigration of the muslims=sharia law and spiritual poverty. = in your face slavery or death from Islam. Sounds to me as though Switzerland has given up its autonomy. Once considered a neutral country, it is caving to the EU and can no longer be considered as such. The Swiss, if they haven't already done so, will lose their sovereignty across the board if they continue to bow down to the totalitarian EU structure. It is evident from Brexit that the EU sees itself as sovereign to all who are in it and who deal with it. As Merkel has finally acknowledged, national sovereignty must be surrendered to the totalitarian and non-elected EU elite. 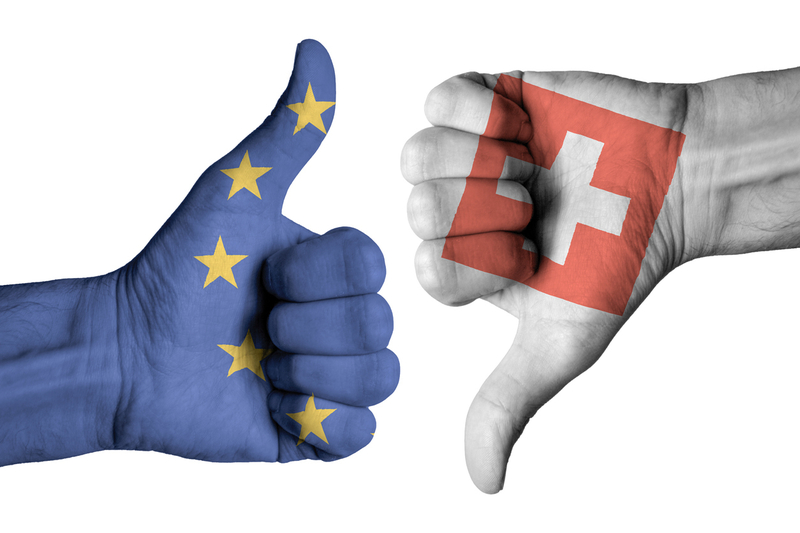 So the Swiss must decide soon whether they wish to continue as Switzerland or as serfs to the EU totalitarians. Certainly, Germany has won WWII and the only question is whether the Russians will own Germany as soon as Nordstream 2 is completed. The minarets are coming. People of Switzerland, don't let the EU take your sovereignty. I suspect the EU will collapse under its own bureaucratic weight. I wouldn't want to be tied to an anchor like that. From what I've observed, it's just another tyrannical government with dark plans for the common citizen. They seem to be the know it alls on the planet. One world government aspirations to control every dollar and tell us all how good they are for us. I call BS on that. As for the immigration issues, they have roped you all in, my heart goes out to the citizens. You are the ones who get to bear the brunt of the social decay, loss of your national identity and sovereignty. Basically, it sounds like the EU has moved into YOUR house and now thinks they can tell you how to run your own household. Fight them, stop the madness and go back to being Switzerland, not some EU-run water boy. All they really want is your money, your land, your culture and your obedience. It appears that the Swiss public has been propagandized into stupidity as much as the rest of Europe, to choose giving EU law preference over their own. They are well on the way to a position similar to what May's fake Brexit deal (if it's approved) will do for the UK -- making it, in reality, a member of the EU, subject to all their laws, standards, regulations, courts, etc., though without formal membership. If the Swiss don't back away from most of their arrangements with the EU, and take back control of their country, they will soon find that the EU is the real government of Switzerland, that they have no control over it, and that they're quickly moving toward being incorporated into a single European state. Switzerland would do well to drive the international socialists and EU supporters out of their government and reclaim full control over their country. They may lose some opportunities for business by breaking with the EU, but without EU connections they can offer incentives to business that the EU can't compete with. They would very likely gain more than they would lose, though in different areas. If I were the Swiss I would wait until after the Euro elections 23 - 26 May 2019. It is predicted that there will be a surge of Right Wing Populist wins across the EU including in France and Germany. On top of that, there are the European Central Bank Target 2 liabilities currently in excess of a trillion euros. The EU has far more pressing problems than attempting to bureaucratically conquer Switzerland. I spent four semesters in a doctoral program in Switzerland and admired their fierce independent streak. I thought they, of all people, would stick with their 1,000-year attitude. ... Apparently a new generation is about to give up what their wise ancestors passed on to them. I had hoped they would tell the one-world EU to stick it up their yumpa !! ... The Swiss are going soft. The Swiss should continue to not be dominated by the EU...they have already given away enough of their freedoms and if anything should 'cut back' on their agreements with the EU...make bi-lateral agreements with the Europeans they want to do business with and forget the over-reaching hand of the EU...Stay Independent Swiss!!! C'mon Switzerland. You have achieved greatness because of your ability to remain aloof from the rest of cesspool Europa. Stay the course. Wait 'til the EU comes for their guns! Who could believe that any nation willingly would give away its independence and the right to control who gets into their state? The E.U. member states did and now the UN wants OPEN BORDERS!!! How is it possible? Simple the UN is controlled by Arab and other Islamic states massive voting block. Tenets of Islam is to crush all religion not Islam and convert Kaffirs by the sword if necessary. They are now doing with a new sword, the UN. Time to kill the UN to keep the world free and safe. The EU is a racket, pure and simple. These idiots will not give up their high-paying jobs easily. Money for old rope is a saying that springs to mind. Mark, I disagree. The "idiots" definition can't be applied to EU bureaucrats, who possess money and power and know exactly what they are doing. Idiots are rather submissive populace of the EU states used by globalists/neo-marxists, the people who support their own demise. I completely agree with the SVP objections published here. They can learn from the vindictive actions of the EU leadership to keep Britain in the union, and punish her for daring to attempt to leave. EU membership is reminiscent of those ancient bottle dungeons. Once in, there was no way out, and the victim was totally dependent on the scraps of sustenance their captors deigned to throw in. A horrifying report. One counts on Switzerland for independence and common sense. Don't they know the E.U. is doomed? The unelected EU bureaucracy in Brussels is attempting to take control of the whole of Europe, led by Germany and, to a lesser extent, France. That's a very bad outcome for democracy and self determination of peoples. I can only recall one previous occasion in modern history when this was attempted: Ein Volk, ein Reich, ein Fuhrer (Adolf Hitler in a speech in the 1930's). We all know to where this led! "Karma is getting ya too, Switzerland" - as sad as this shout may sound, there's some substance to it. I am a Swiss citizen and I am horrified about what has happened with this referendum. The opposition has packaged this deal to fool the citizens into voting for this. Such scaremongering was put into our letterboxes to keep us from voting to keep our unique democratic system. There was even a drive by some concerned citizens who were trying to explain to voters that this is not a question of being on the right or on the left of political spectrum, that it is about direct democracy – the last one standing on this planet. I started feeling like there is no more hope for Europe. You do well to be a concerned citizen, as should be All RIGHT THINKING Swiss people. In recent times, I have been fortunate enough to travel by road, through your country, no less than six times. I have always been impressed by how 'clean and tidy' your country side is kept. As a nation you obviously 'love' your country and if you wish to keep it in a pleasant condition and preserve your own culture, FIGHT FOR ALL YOU ARE WORTH, to stay out of the GRASP of the ROTTEN and Putrefying EU. Blackmailers ALWAYS come back with more and MORE demands. A well wishing U.K. Concerned Citizen. The totally undemocratic EU is at it again, trying to impose it's irrational will on other nations - what makes this particularly shocking is the Switzerland is not even an EU member nation ! Unfortunately, Switzerland being a land-locked nation, is subject to certain pressures in terms of import/export, due to it's geographical position in Europe. The desire to protect their borders is something which the Swiss have every right to exercise, without interference from institutions such as the EU/UN ! Unfortunately, being surrounded by EU member nations makes them vulnerable to trade boycotts & blackmail from the EU. This is so similar (in certain ways) to the problems faced by Britain, which caused the British to vote for Brexit ! Perhaps if Brexit is achieved by 2019, other present EU nations might be prepared to follow a similar route, and unshackle themselves from the undemocratic tentacles of the EU. Germany lost WWI and WWII, but they are winning now. Germany holds by far the greatest sway in the EU, and they are using many different methods (banking, trade, politics, etc.) to force the rest of Europe under their thumb. Germany is waging economic/political war on Europe, and it is winning. If Britain fails in Brexit, they will need to learn German. Use of English will be changed, just you wait. Looking at Germany today, there will be no Germany left to enjoy the fruits of this victory. The winners will be all third world moochers living happily in that area previously known as Germany, with the indigenous population forced to feed and care for them. Shouldn't it be "creepy" EU accession? When the EU abandoned their principle that demanded of religion that it must be tolerant of criticism and even ridicule. Today that only applies to Christianity and Judaism as the EU leadership is possibly been bought out to kneel before the pagan altars of Islam. Be extremely careful of the corrupt EU you Swiss people. If the EU starts to get more control then you will be compelled to take part in their quota policy whereby you will be forced to accept more Muslims into Switzerland. Beware the devious schemers and deluded bureaucrats who will try to turn your country into yet another Islamic hellhole!! A sterling reminder to Britain; the EU wants dominance and is determined to have it, Norway will be next so the rule for Britain is simple. Get out and stay out. It is apparent that there's little love for the EU in many, probably most countries, of Europe. The EU is struggling to survive by intimidation. No institution can survive for a long time on the basis of intimidation alone (especially when intimidation is perceived, rightly or wrongly, as the manifestation of the hegemonic interests of defeated WW II countries--Germany and France). The day is coming when the popular (call it nationalism) will overwhelmingly override the interests of business leaders and the atheistic bureaucrats in Brussels. History occasionally repeats itself. Nationalism resurfaced in Europe after the Enlightenment. The new Enlightenment--characterized by campaign for open borders, idealization of gays, suppression of Christianity, the appeasement of Muslims, etc--is being seriously threatened by a resurgence of common sense (again call it nationalism). The left has to either appease the so-called populists or be overthrown by them. The Swiss citizen appears to have a lot to learn and no time to learn it. If they give away any more freedom they may find themselves as a no-country, no Switzerland, no yodelling no anything. Why? Surely the Swiss have heard the story of William Tell, whose struggle against tyranny was legendary. Was he not a leader in establishing Swiss confederacy? Is Swiss youth important in this debate, or is it again all about Islam. It's the classic example of the frog in the pot of water. After the heat is turned on, it really starts feeling good, but soon gets too hot, and before he knows it, when it's too late, he's cooked. The EU is not the United States. Though there is always the conflict between the State's rightists (republicans) and the Federalists (democrats), enough of a balance has been maintained so far. The Democrats are trying very hard to make the US a globalist country with weak states, but they aren't succeeding. The EU seems to have been started with a much stronger central leadership, which didn't give the individual nations much protection. Now it sounds as if the EU is bullying even non-member states. Switzerland should be aware and wary and not sell their soul for a pot of gold. The Swiss will have a bitter harvest. A generation spending their entire history and culture to buy a shallow myth.